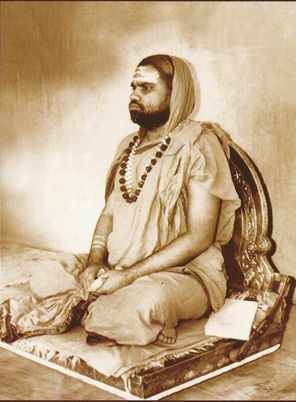 Here is a transcript (translation) of a unique anugraha bhaashanam given by the Sringeri Jagadguru Sri Bharati Tirtha Mahaswamiji. The bhaashanam is in Tamil and can be seen following the 4 videos starting from here – https://www.youtube.com/watch?v=Xm4d74j-nVQ. The Achaarya is well-known to be adept in the Shaastras, the Shruti (the Vedas) as well as the Smrtis (like Bhagavad Gita, etc) and the various Darshanas (like Nyaaya, Vedanta, etc), all that is evident in this important bhaashanam that should be heard and understood by all students and practitioners of Sanatana Dharma. The pdf of the entire transcript is here – the importance of the veda. Any errors in the translation are mine. Previous Three Letters of Swami Vivekananda. Sri Gurubhyo Namaha. Please send me e mail alerts to notify me any future updates. Namo Namaha Sri Guru Paadhukhaabhyaam.